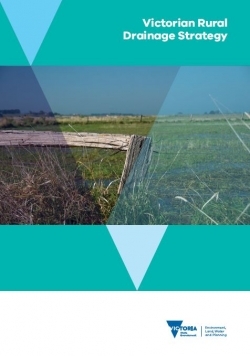 After two years of consultation starting in 2016, the Victorian Government released the new Victorian Rural Drainage Strategy focusing on the remediation and future management of degraded rural drainage systems in dryland agricultural regions. It aims to clarify roles, responsibilities and obligations for landholders and government agencies to manage drainage and to support agricultural productivity. Cultural and environmental benefits are both considered in the strategy regarding priority waterways management, including the cultural values of Aboriginal Victorians.